Troy Rafferty is a shareholder at Levin, Papantonio. He litigates mass tort, pharmaceutical, and major personal injury cases throughout the country. Mr. Rafferty has been recognized as one of the country's top lawyers through inclusion in the publication, The Best Lawyers in America, as well as The Legal 500. He has also been recognized as one of Florida's top lawyers by Florida Super Lawyers. Mr. Rafferty has been awarded an AV rating by Martindale-Hubbell legal directory, the highest rating for competence and ethics issued by that publication, and reserved for attorneys designated as outstanding in their field. Mr. Rafferty has been selected by the American Trial Lawyers Association as one of the Top 100 Trial Lawyers. He is a fellow in the International Society of Barristers. Mr. Rafferty has been appointed to handle some of the nation's largest pharmaceutical and mass tort cases. 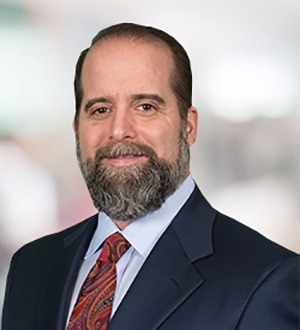 He currently serves as co-lead counsel in the In re: Gadolinium Based Contrast Agent Litigation, which is pending in the U.S. District Court for the Northern District of Ohio; the Plaintiff’s Executive Committee in the In re: Abilify Products Liability Litigation pending in the U.S. District Court for the Northern District of Florida; the Plaintiff’s Executive Committee in the In re: Benicar Products Liability Litigation pending in the U.S. District Court for the District of New Jersey; the Plaintiff’s Steering Committee in the In re: Actos (Pioglitazone) Products Liability Litigation pending in the U.S. District Court for the Western District of Louisiana; and the Plaintiff’s Steering Committee in the In re: Fresenius Granuflo/Naturalyte Dialysate Products Liability Litigation pending in the U.S. District Court for the District of Massachusetts. He also has been appointed by the U.S. District Court for the Western District of Kentucky to serve on the Executive Committee for the Plaintiffs' Steering Committee regarding the Yamaha Rhino defective product litigation. He was appointed by the U.S. District Court for the Eastern District of Louisiana to serve on the Plaintiffs Steering Committee in the national Vioxx Litigation, which resulted in a $4.7 billion national settlement. He was also appointed to the Plaintiffs' Steering Committee in the national Zyprexa Litigation in the United States District Court for the Eastern District of New York. This litigation resulted in a $700 million settlement on behalf of clients throughout the country. Mr. Rafferty was also one of the leading attorneys in the national Rezulin litigation, which was filed in the Southern District of New York. In 2001, he and his partner obtained a $40 million jury verdict in Corpus Christi, Texas for a woman who took the diabetes drug Rezulin. He has tried numerous complex pharmaceutical cases throughout the country. Mr. Rafferty is board certified in civil trial law by The Florida Bar. He is active in the Florida Justice Association, where he is an officer and in the past served on the Executive Committee and the Board of Directors. In 2009 and 2010, he was awarded the Gold Eagle Award for "exhibiting a steadfast duty to protect and defend civil justice."